Thanksgiving Oh Nine. Not Quite on Time. Yes, this is December 14. Yes, Thanksgiving was on November 26. 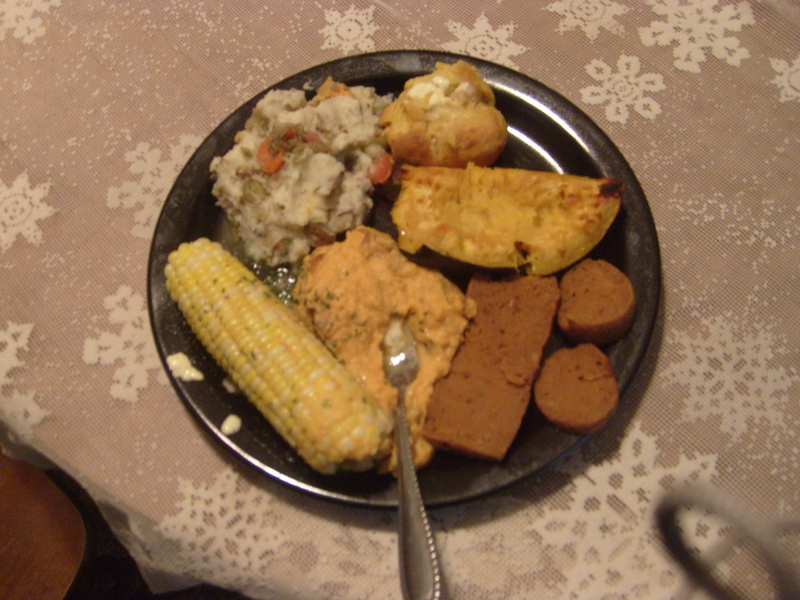 I hibernated for a while after Thanksgiving because of all of the food I made and ate! I had lunches for days on end. And actually ended up throwing some food away. For Christmas I am going to make much less food. I have learned my lesson. 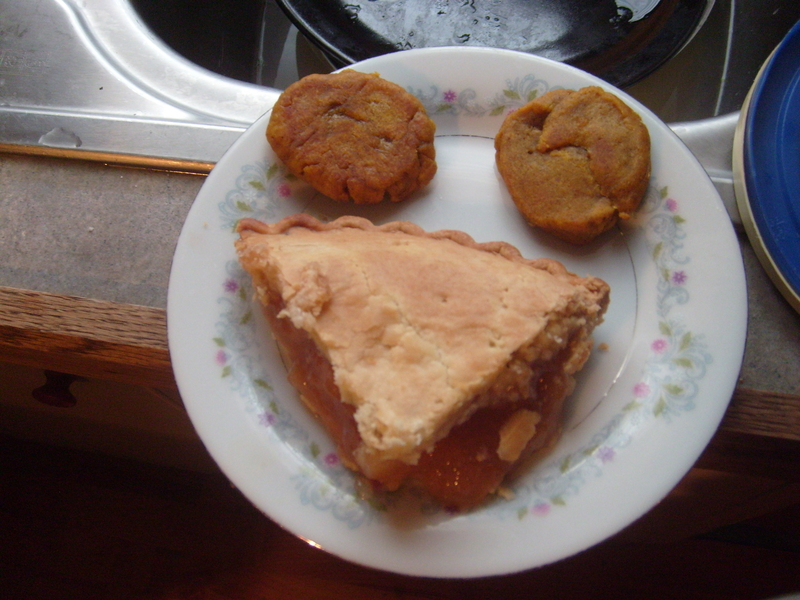 For dessert I made pumpkin shortbread cookies (we posted about them last year) and cooked a store bought apple pie. The desserts resembling a bird was as close as I got to eating turkey or any other animals products. And that is how it should be. Hope everyone has a great rest of the year! ← Sweet & Sara Giveaway Winner!